Kaiv Flat Hair Brush is the ideal brush for styling and detangling your hair. 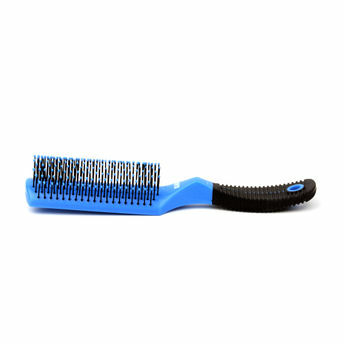 It's comfortable grip and size offers an excellent brushing experience. It has nylon ball-tip bristles which is ideal for gently massaging your scalp.